…But Potency, purity, shelf life, the method of production comes later. Let me tell you guys- this approach is a mistake! 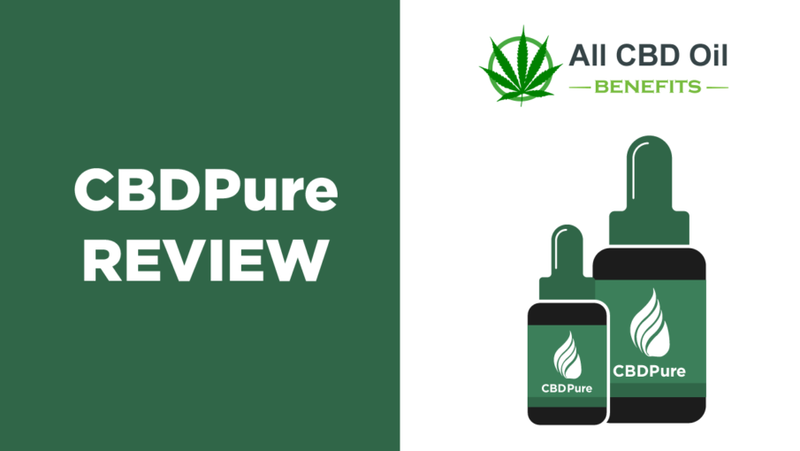 Hey all, its Aaron here, and in this CBDpure review I’m going to talk about a wonderful product that puts quality first and why you should prioritize quality above all as well. 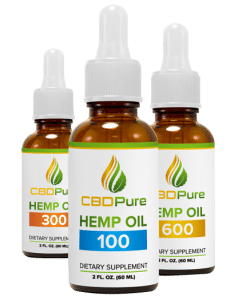 CBDPure – what is it? It is Hemp oil manufactured by a brand named Nutra Pure. What’s unique about this company is that they concentrate solely on producing hemp oil – not topicals, edibles, isolates, or anything else. …And I say that as a person who has tested at least three dozen varieties of hemp oil, priced from very low to staggeringly high. So, how does this product fare against others in the market? Before we move on to my personal experience, let us take a look at the company. CBDPure is cannabidiol oil of the finest quality, derived exclusively from hemp grown in Denmark farms. You do know that the Danish and the Dutch are pioneers in the cannabis industry, right? Well, now you do! The hemp plants are raised in a 100% organic method that does not involve the use of harmful herbicides and pesticides. This industrial quality hemp is especially renowned for the high CBD content and excellent purity. The company, Nutra Pure, follows a strict production guideline and then follows it up with many stringent quality control checks to ensure that the product consumers get on hand is top notch! Now, being the skeptic person that I am, all these tall claims didn’t initially float with me. The other CBDPure reviews also looked too salesy for my liking. So, I decided to dig a bit deeper and find out how the company arrived at the claims they make. If we equate purity of CBD oil to the trustworthiness of the company manufacturing it, then CBDPure would be fairly trustworthy. “But Aaron, didn’t you say this manufacturer is one of the best in the industry?” Yes, I did say that, and I stick by my words; however, the company could have done a bit more to be reassuring to the buyers. First of all, the proof of third-party results that are supposed to testify of the product’s purity didn’t seem entirely convincing. Slightly disappointed, I went on to the FAQ page to check for relevant info. While the questions and answers did dispel a lot of my doubts, I was still not 100% convinced about buying. As a last resort, I went over to check for testimonials, and surprisingly almost every testimonial said only good things. Sure, a lot of times companies fake testimonials to boost credibility, but this one didn’t seem to be that way. It was just a hunch, or call it a gut feeling if you will that made me buy the first bottle. Taking a leap of faith, I ordered the 600 MG hemp oil bottle costing $ 79.99. It was a small amount of money I could risk losing, so no problems there. The package was delivered promptly, and I began taking the dosage on my own. Note: since this product falls under the category of health supplements, I recommend you consult a doctor in case of any confusion. Each serving of CBDPure delivers 20 mg of cannabidiol, and I took 2 servings daily – once in the morning and once in the evening. There’s nothing to talk about in the flavor side of things because it tasted like natural hemp. Honestly speaking, it’s the natural hemp flavor that I like most. Now, the effects: I’d say this stuff started showing its results faster than I had anticipated. I stopped taking my previous CBD medication a week in advance to test CBDPure, and it felt like my anxiety was once again starting to tighten its grip. Just two doses per day allowed me to begin my normal life. I couldn’t be happier! So, I can safely say that CBDPure did work as good as the previous cannabidiol I was taking. Did I mention that this substance – like almost all CBD oil products – I review, is non-psychoactive? That means you can treat many symptoms without fearing the feeling of intoxication or “getting high.” After all, that’s what CBD is all about! There is no dosage mentioned officially as such, so my best bet would be to take the trial and error approach. Start with one serving daily of 3.3 mg and observe the effects. Slowly increase from there to a maximum of three servings if you feel the need. Better yet – get in touch with a physician for guidance. Look, this product isn’t perfect. In fact, I wish the company had put more effort in publishing more lab results of their third-party tests to boost credibility. However, if you can look past the initial impression, I’m sure CBDPure will prove to be useful. Why don’t you order the smallest bottle and test for yourself? And, CBDpure is also voted the #1 CBD oil tincture, read this article here. Why not have some CBD capsules as a back-up for those long days at work? The new CBDPureSoftgels offers all the goodness of their oils in capsule form. Since the same level of quality is maintained throughout, I have no qualms about recommending it to you guys. They offer 25 mg of CBD per capsule! Completely natural and organic, so, you can count on there being no side-effects. I love using CBD Oil, the feeling you get while vaping is great. However, I also get that vaping in public places or at office bring a lot of unwanted stares. To be frank, when I heard that CBDPure has added to their arsenal, I bought the capsules to use when things get stressful at work. I started taking two capsules a day for testing this out. Before trying this, I had already taken a break of a week from all CBD products. The effects were quite amazing. Capsules don’t work as fast as oils do, but, even with that, I would be back in no-stress mood in about an hour. Over time, it also helped me deal with my chronic back pain. In about a week, I was back on track and running. I can happily testify that these capsules were potent and very helpful in dealing with my issues. Since there’s no recommended serving value, I would advise you to go with one capsule a day for starting out. You can increase the dosage if you feel the need. Better and more potent capsules will always be available, but, these small and economical containers pack quite a punch! Why not give it a try to see if it works out for you? If you believe in getting the best for your health, then why not give your pets the same? 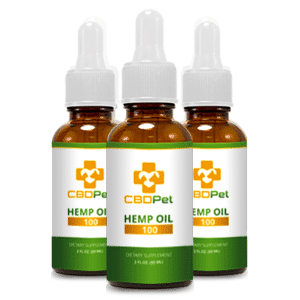 CBDPet brings all the goodness of CBDPure with a little tweak to make it perfect for your furry companion. Nutra Pure upholds the same level of excellence in maintaining quality here as well, which is why I have no problem in recommending it to you wholeheartedly. I’ve been giving my old boy Rufus CBD treatments for as long as I remember. Quite frankly, I decided to go against my inhibitions the first time, which indeed pay off. CBDPet does a good job in keeping my dog active enough to stay healthy. The company says it can help with other issues such as aggression, self-trauma, excessive vocalization, and cognitive problems. While Rufus has never been the one to trouble with excessive barking, age seemed to have slowed him down quite a bit. Thankfully, it is with products like CBDPet that I was able to treat him and bring him back to his regular mood. His bones aren’t as healthy as they used to be right now, but it’s a separate issue that I am consulting with the vets. If you give this to your dog or cat, I promise you’ll notice positive results at least in behavior, if not in health. Hey, you always have the 90-day refund policy to go back to if the product shows little to no desired effect. Sundays have become fun again at the doggie park for my four-legged kid and me. Nutra Pure has earned its name in my good books, for which I am willing to recommend CBDPet in a heartbeat. And that’s not just me! Just go to the ‘Success Stories’ section of the website www.getcbdpet.com, and you’ll see what I mean. Both CBDPure and CBDPet come with a 90-day money back guarantee if you are not satisfied with product results. Not only is a promise like this incredibly bold, but something that we should all admire. After all, not many brands will go out of their way to replace or return a product up to 3 months after purchase. Just to read the terms and conditions correctly to know how to go ahead with the claim. You can purchase CBDPure from the website www.cbdpure.com and CBDPet from www.getcbdpet.com. I honestly don’t know why Nutra Pure decided to use two separate domains though. Right now, the company delivers to every state in the US, except for Indiana, Arkansas, Kansas, and Louisiana. You can order online and have the products delivered right to your doorstep. So go ahead and place the order if you like my CBDpure review; let me know of your experience later.